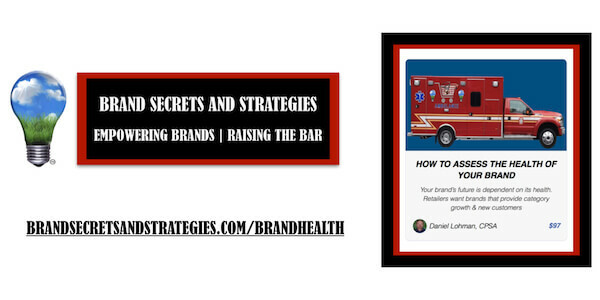 This article focuses on the health of your brand and not the healthy ingredients you use to make it. The health of your brand determines how long your brand will be around; weeks, months, years, or decades. The health of your brand determines your value to shoppers, to retailers, and it’s what you take to the bank. 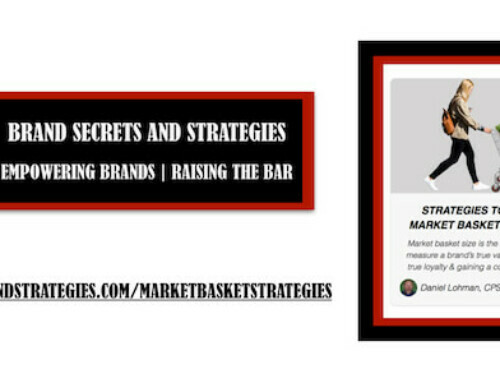 What if I told you that knowing the health of your brand was the best path to growing sustainable sales? Would you be interested in learning more? We are constantly bombarded by industry experts claiming that price is the only thing that drives shoppers to purchase your product. Nothing could be further from the truth. It’s possible to “buy” high sales velocity and rank high in the category – if your pockets are deep enough. Not only is this a really bad strategy but it’s unsustainable – especially for small brands. More importantly, it pulls valuable dollars out of the category and trains shoppers to only buy products in the category when things are on sale. The health of your brand has nothing to do with how much cash you have on hand. The true health of your brand is measured by how much you contribute to the category, the retailer, and to your bottom line. It’s measured by how loyal your shoppers and by your ability to drive sales with a premium price and when your brand is not on sale. Have you ever purchased something on sale that you were disappointed with? We all have. Health-focused shoppers have learned that valuable lesson. They know that spending a little more at shelf on quality products that deliver high value is less expensive in the long run than purchasing inferior products that are disappointing. They know that if you are what you eat, then what you eat matters. Natural shoppers don’t want to be sold. They want what they want and they want products that meet their needs. They have high standards and they will gladly pay a premium for products that reliably deliver on their promise of consistent quality. This is one of the most important elements of every premium healthy brand. It’s also the most overlooked feature of most every brand – including the big brands. Retailers can not possibly be experts in everything they sell and in every category. They generically don’t make anything. They sell the real-estate your brand occupies on their shelves. Retailers want to make a reasonable profit and they want more traffic in their stores. Any brand capable of delivering on both of those points will have a significant sustainable competitive advantage – over all other brands including the big brands. Savvy retailers will gladly reward those brands with preferential merchandising and incremental promotion opportunities. So why does this matter and why should you care? This is not a strategy that is taught in any natural product’s business school, seminar, incubatory, or accelerator. This is your greatest point of leverage with retailers and investors. You can not afford to overlook this! You’ve probably been told that all you need is a basic canned topline report when you meet with retailers. 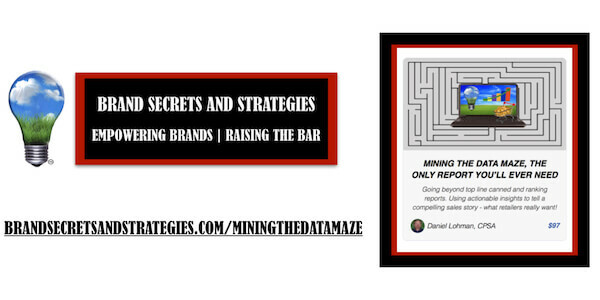 You are taught to provide the exact same information as all of your competitors – only with your unique spin. You are told that this is the recipe for success. 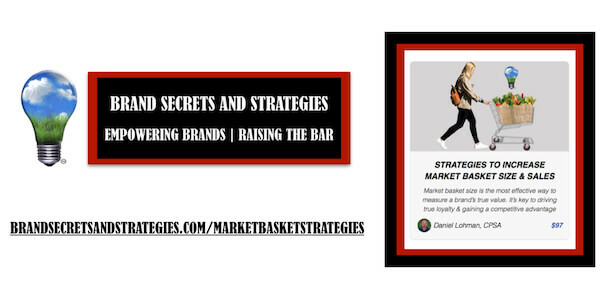 You follow the “tried and true” strategies of other brands believing that their strategies will guarantee your success. WRONG, this is how you blend in with your competitors. 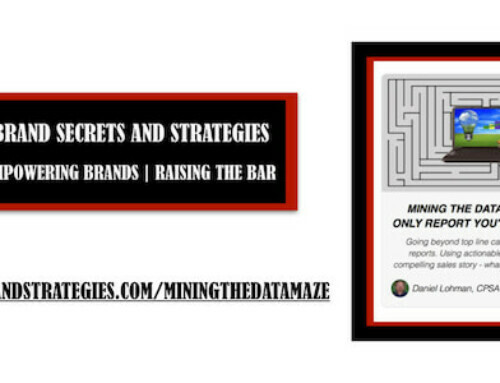 If you want to sell more and grow beyond other brands in your category, you need to use strategies they overlook! Back to the canned topline reports. Savvy retailer’s already know how your brand is performing on their shelves. They do not need another report telling them what they already know. They need insights, actionable insights. A canned topline ranking report glosses over what really matters in a category – the contribution your brand delivers to the category and to the retailer. Your contribution is measured by your sales where you have distribution (where your products are being sold). 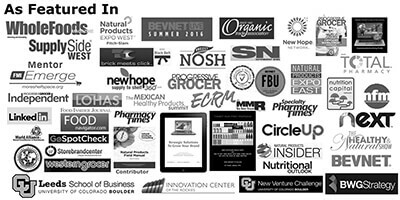 Healthy natural brands contribute more to the category than other products. This is especially true for organic, plant-based, gluten-free, allergy-free, etc products. This is why this matter so much. The shopper you bring into a retailer’s store is willing to spend a premium for your products. They are also more likely to spend more on complementary products in other categories, we’ll cover that in a future article. Leveraging the contribution your brand delivers to a retailer is far more impactful than any slotting, menu fees, or other fees retailers and distributors charge. You need to leverage these strategies if you want to get your products onto more retailer’s shelves and into the hands of more shoppers. 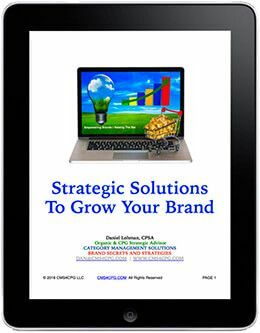 This is the strategy I developed years ago that allowed me to take a leadership role in my category opening up the door to incremental and preferential merchandising and distribution, which equated to dramatically higher sales and more shoppers. This is also the strategy I use with my personal clients.